It's that most wonderful time of the year. Yes, the time when editors yearn for features that designate the most significant happenings that occurred during the year in a writer's particular purview. So after drifting into a reverie populated by the ghosts of this year past, here is the year-in-review, theater-wise. I have to admit that I snuck a peek at the closing date of ATC's last show of 2017, hoping that its closing date fell in 2018. That show, Man of La Mancha, still breathes in a place I often retreat to for guidance and goosebumps. But it closed December 31. Shucks. However, The Music Man fills the same time slot in 2018 and it ain't too shabby. It's a huge-scaled, solidly entertaining production. 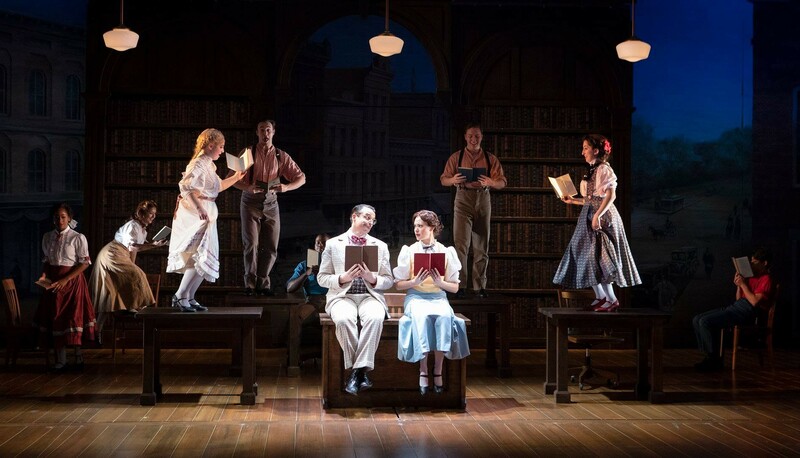 Speaking of ATC, there was a rather, um, awkward situation when newly-appointed artistic director David Ivers, on the job for just a few months, announced that, never mind, he had decided to take another job as AD at South Coast Repertory Theatre. It was his dream job, he claimed, and he was over the moon about it. There were probably a few folks who had spent much-o resources on a job search who would have been more than happy to assist his flight "to the moon" (with Alice). We can sorta understand, and there has been much make-nice talk about the subject, but damn. It's a shame, too, because he seemed a great fit. But he goes bye-bye in March, and it's been back to the drawing board for the Board. Aw, David, we hardly knew ye. The Invisible Theatre is the grandma theater to ATC's grandpa persona, having been around almost as long. 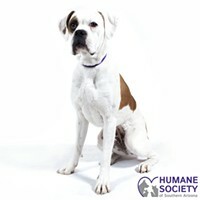 It has been led most of those decades by Susan Claassen. Their Sizzling Summer Sounds series, rightly enough happening during our sizzling summers, is dependably smokin'. 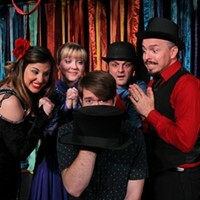 The cabaret-style shows feature great music delivered by top-notch entertainers from here and far. The series found a new home last summer at the Carriage House downtown, and famed chef Janos Wilder in his restaurant next door delivered the dinner part of the dinner and show package. Claassen says this arrangement worked wonderfully, and the series will return in 2019. Live Theatre Workshop continues its evolution into a serious though small powerhouse. Its roots are in dinner theater fluff stuff, but under artistic director Sabian Trout, their shows have more variety and depth, while never seeming self-important. One of LTW's very best features is their Family Theatre series, which offers musical shows the parental units can enjoy right along with their kids. And—this is a big "and"—these shows are mostly written or adapted by LTW staff, like Richard Gremel and Stephen Frankenfield. A few even have original music by executive director Michael Martinez. Many of these original scripts have been published and are being produced all over the country. The Rogue continues to do some great stuff. King Lear is tough, but the company showed no fear. Three Tall Women and The Curious Incident of the Dog in the Nighttime were standouts. But I think Galileo was my favorite. 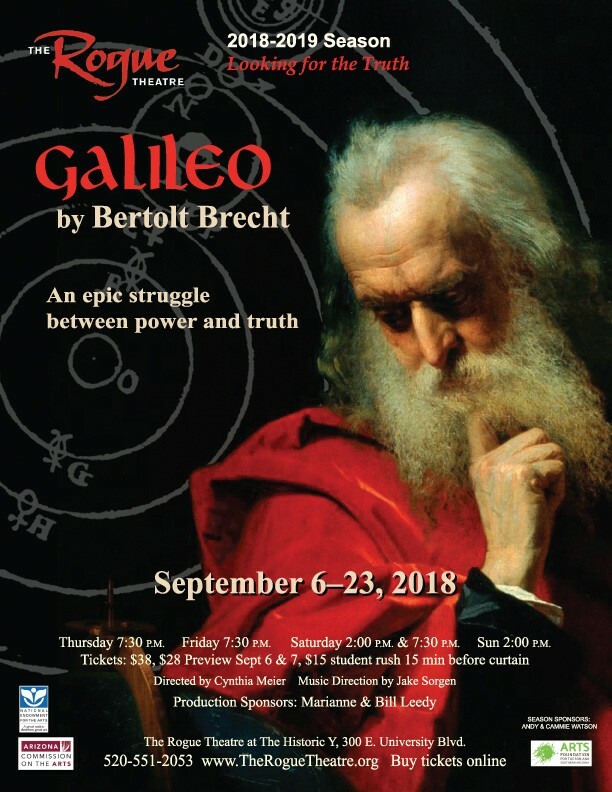 The use of Aaron Cromie-created masks allowed an already (sadly) relevant play to soar close to the sun, the controversial star that got Galileo in trouble in the first place. It was directed by Cynthia Meier. Jake Sorgen, music director for all of Rogue's shows, creates music—and often performs it live—that lends an incalculable depth to our experience of their shows. Institutions evolve under new leadership and this is certainly the case for Borderlands Theater. New-ish artistic director Marc David Pinate, who works alongside his playwright wife Milta Ortiz, is shaking things up with some unusual projects, especially what they refer to as "site specific" (along with "immersive," another odious theater buzzword). Their Barrio Anita project brought together Hispanic and Anglo neighbors and visitors in an all-involving experience featuring numerous types of performing arts, many originated by Davis Elementary students. The bilingual school became the physical heart of the event while slam poetry, multi-media projections and music were drawing attention in all directions. The original happened earlier in the year, and it was "staged" again this fall. Meanwhile, Ortiz wrote a promising script about the sanctuary movement anchored here in the mid-'80s that is (also sadly) proving to have relevance again. Still evolving is Winding Road Theater Ensemble, which has hit a few major potholes in what we'll call its winding road-work. 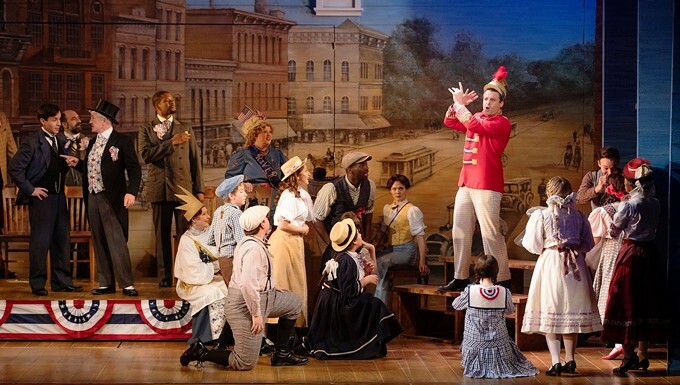 Its most recent production, Good People, did hit a smooth spot for a lot of folks. The new kid Scoundrel and Scamp Theatre has continued to impress in its second year. Its production of Brian Friel's Lovers was skillfully directed by Holly Griffith, and Mr. Burns: A Post Electric Play by Anne Washburn knocked our collective socks off. And they wound up in the laundry of a very unusual piece called Cloud Soup, created and performed by Wolfe Bowart. This show will return for another week in January. Let's not forget the throbbing, piercing and random spectacle that is the Tucson Fringe Festival. This has become an intense and always surprising collection of work from Tucson artists, but others from far-out there, literally and figuratively. Thanks to the peripatetic Maryann Green for leading the charge. I really want to give a shout-out to several Tucson playwrights—in addition to those mentioned at LTW and Borderlands—who are finding success, sometimes here, but often afar. Monica Bauer had a stellar year with Brand New Jew first workshopped here at IT and followed by shows at Stage Left Theatre in Spokane, Writers' House in Charlottesville, Virginia, and at Scotland's Edinburgh Fringe Festival. Vivian's Music, 1969, was also done at the Fringe, and that led to a full run of the show at 59E59 Theaters off-Broadway. 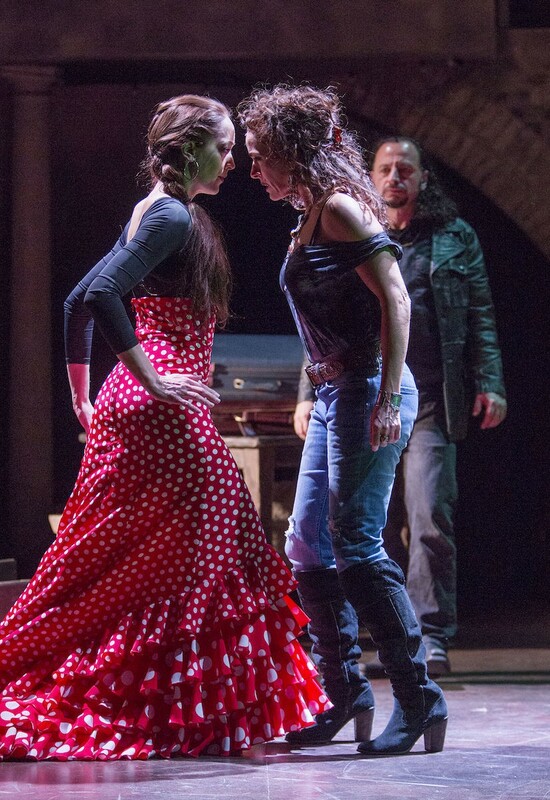 And Tucson's own Roadrunner Theatre produced a full version of her The Real Machiavelli. Toni Press-Coffman worked for two years with Sarah MacMillan to develop MacMillan's intensely personal one-woman show, Psycho Sarah, produced independently here this past summer. 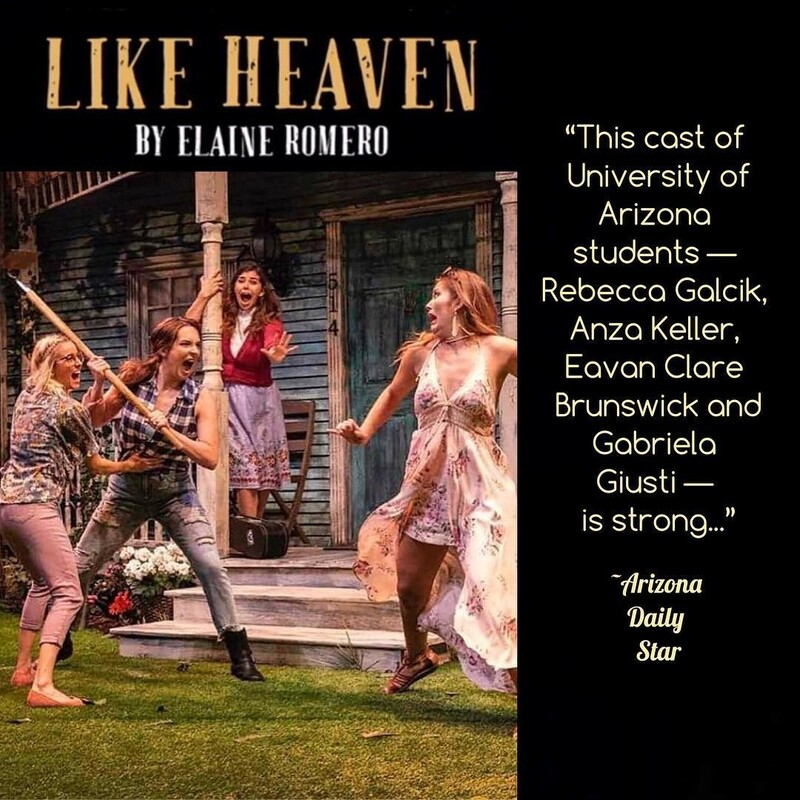 And the UA Arizona Repertory Theatre opened their MainStage season with professor Elaine Romero's Like Heaven. Anna Karenina Lives! will have a second full production in NYC in the spring. We don't always get a chance to see their work, and that's a shame. But the accolades they receive from so many sources demonstrate they certainly deserve acknowledgement as part of the soulful heartbeat of a very rich and colorful and inspiring Tucson theater community.